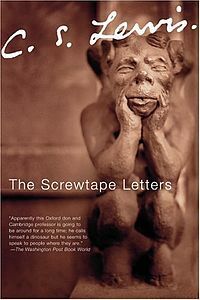 The Screwtape Letters by C. S. Lewis is a book that will definitely make you think. Lewis has many fascinating things to say about temptation and how the human mind works. Nonetheless, there are a few things in his book that stick out, such as his point of view on the doctrine of eternal security. In his book, the main character, Screwtape, makes it clear to his nephew Wormwood that their goal is to get the "patient" to somehow lose his salvation. It seems from this that Lewis did not believe in the "once saved always saved" principal. Personally, I believe in this view. If you aren't familiar with what "once saved always saved" or 'the doctrine of eternal security' means, I shall explain. The "once saved always saved" view says that once someone becomes a true Christian, they will always be one. They simply cannot lose their salvation. This also means that anyone who falls away from the faith was never saved to begin with. There are a lot of other things that go with this view but I'll probably talk about that more in a later post. From his book, I think it's safe to assume that Lewis does not agree with this point of view. As I go back and read through The Chronicles of Narnia, I begin to notice a few things that appear to line up with this idea, particularly in The Last Battle. Aside from this doctrinal difference, I found The Screwtape Letters to be a very interesting and thought-provoking book. It really delves into the mechanisms behind temptation and it also made me wonder about demonic influences over Christians and non-Christians. If you are not a Christian, I believe the devil has one goal for you; to get you to Hell. I don't think he cares whether everyone thinks you are a wonderful person or a terrible person. His goal is to keep you from repenting and turning to Christ so that you will die in your sins. He does not want to keep you from a moral lifestyle, only from Christ. If you are a Christian, Satan knows he can't take away your salvation, but he wants to prevent you from growing spiritually so that you cannot witness to the lost. As Christians we still struggle with sin and will until we die, but we should grow gradually in holiness. If Satan can stunt our growth, people who aren't saved will see it. Believe me, they do see it. They know when you are acting like a Christian and when you aren't. Do I believe that he uses demons to accomplish this? To some degree, yes I do, but I don't believe that is our only sinful influence. Even if there were no demonic influences in the world, I believe that our own sin nature, inherited from Adam, would entice us to sin. In other words, we commit evil all by ourselves without any outer influences. Temptation is not a sin itself. You can't keep sinful thoughts out all together, but when they pop up you can ask God to help you thrust them aside. "You can't keep the birds from flying over your head, but you can keep them from making a nest in your hair" summarizes what should be done about sinful thoughts and temptations. Do I think demon put thoughts in our heads? I think it's possible. He definitely could do it with someone who isn't a Christian. How much influence Satan has over us as Christians is not completely clear, but whatever he has he will certainly use. We have to be careful and arm ourselves with correct theology and scripture, especially if you have a lot of unsaved friends. You may go to church on Sunday and act 'righteous' for all of your saved friends, but if the devil can get you to act unsaved around your unsaved friends, he'll be accomplishing what he wants. Think about it. What will it tell your friends if you are cracking rude jokes and swearing right alongside of them? What would that say about the life-changing Gospel? 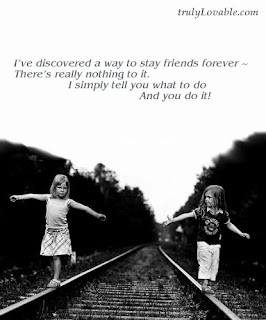 If you're a real friend, you'll want your friends to be saved from sin and you'll do anything possible to make that happen. Pray if you find yourself being tempted. It's hard to commit a sin while praying and God will help you if you ask. God won't ask you to do anything that you cannot.